We offer an extensive range of Automatic Boom Barriers that are used for providing security at the entry and exit points. 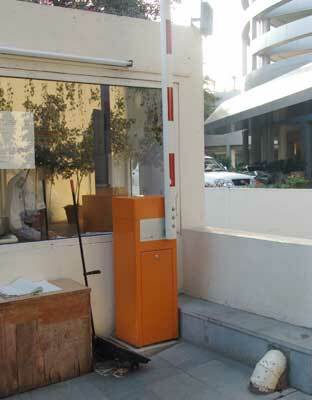 The Auto Boom Barriers are widely used in factories, office complexes, condominiums, toll tax plazas etc. The sophisticated looking Auto Boom Barriers are available with an inbuilt anti crush safety device which is made for suspending the motion of the barrier. We are among the prominent Automatic Boom Barriers Suppliers in India. We are also counted top among the internationally acclaimed Boom Barriers Exporters around the world.